Powerful communicators take planning as a key factor for good writing. This helps them to come up with ideas, develop them and pass them over to their audiences. Remember that your term paper may be a custom essay or a research paper, but no matter the form it takes, the writing process is essentially the same. These steps are sequential and logically arranged, although they may be interlinked depending on the type and nature of writing. вЂў	Prewriting: At this step you have to study the given assignment and understand what it requires you to do. Think, think and think, then start planning what you want to write about and how to present it. You have to come up with a subject, formulate your topic and start gathering ideas. Brainstorm your ideas, taking into consideration the purpose of your writing and audience. Finally make detailed plans for the style and presentation of your work. вЂў	Writing: start by free writing, where you put down any words, phrases, sentences or paragraphs which come across your mind. Do not care much about spellings, grammar or punctuations of your draft. Try as much as possible to write sentences and paragraphs following your plan of style and ideas presentation. After you are done with free writing, take care of your work flow and continuity by crossing out, replacing or inserting words. If necessary you can even rewrite the draft. And if you have time, you can keep it aside for some time-like days. вЂў	Evaluating and Revising: Read your draft over and over with a critical eye. Evaluating your work involves checking for the quality of your work in terms of ideas, style, flow and tone. If you are certain that they meet your standards, start to do revision. Your work revision involves editing the grammar, spellings, punctuations and illustrations if any. вЂў	Proofreading and Publishing: Read as you look for and fix any mistakes. These could be typing errors and layout or formatting in which you focus on font type and size, text spacing, page size and so on. Remember that at this stage your work is at its final printed stage, so it is also necessary to share with others before you finally publish. You can then print out or publish online. Custom essays may take different types and forms, and these will highly depend on the subject, problem, your interest and your audienceвЂ™s knowledge and experiences. 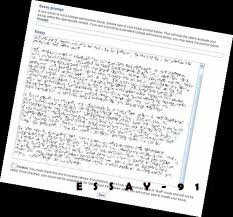 To perfect your writing skills get some essay help and some essay samples can help you too for comparative judgment. The Process for Writing Custom Essays 6.9 of 10 on the basis of 1217 Review.